Suzanne is a globally recognised adviser, speaker, writer, and field builder in gender lens investing. 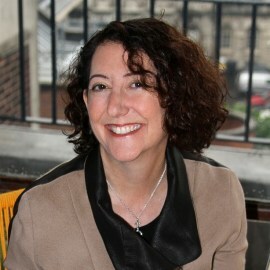 She is the Co-Producer of the Global Gender Lens Investing Summit. She is Investment Director for the SPRING Accelerator which has a focus on supporting impact businesses that have positive impact for adolescent girls in E Africa and South Asia. She holds Gender Lens Investing Advisory roles at Wharton Social Impact Initiative and for many global clients. Her advisory roles span work in institutional investment, philanthropy, and international development all around her passion which is about investing in women. She founded Clearly Social Angels at ClearlySo in the UK. She is a Fellow at the Aspen Institute. She is an active member of Toniic. Suzanne is privately an active impact investor, deploying her portfolio with a gender lens. Suzanne is based in the UK. She holds degrees from The Wharton School and the Annenberg School of Communications at the University of Pennsylvania.